Rosacea is a very common skin problem. It affects many people over the age of 30. Experts don’t understand what causes rosacea but continue to research and study this skin issue. 302 Skincare Rosacea can help improve your skin from the effects of rosacea. Alana is proud to offer this healing product her line of products. 302 Skincare Sensitive Drops Rx – Rosacea prone skin needs special help! Rosacea not only makes irritated, it gives skin uneven tone. This is where 302 Skincare Rosacea Sensitive Drops Rx comes to the rescue. It helps to calm skin, allowing it to heal and strengthen. While quieting inflamed skin, it settles chronic irritation and helps to lessen reddening of the skin. The drops moisturize and soften your skin. To use this product, start with applying it every other day after using your favorite 302 cleanser. After one week, you can then start using daily. It is important not to use this with any alpha hydroxy products as this may further irritate skin. Use on your face and neck area. Avocatin 302, an avocado derivative, has wonderful healing properties. It helps calm skin and allows skin to heal without using manmade chemicals. Alana highly recommends this product! Alana Has offers 302 Skincare Rosacea Products! Skin Care by Alana is the best place to online to buy 302 Skincare Rosacea products! Since this is powerful help in the fight against rosacea, you will need guidance from one of our experts in order to purchase this product. 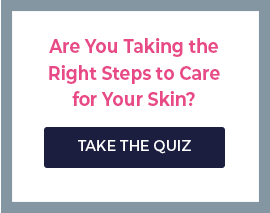 Chat with us online or call us (888-222-0637) and let us help you find the right 302 product for your skincare needs. We offer free shipping on all orders. Your order may also qualify for a free gift or discount. We are open seven days a week and ready to answer your questions! Contact us today and start your path to more beautiful skin!